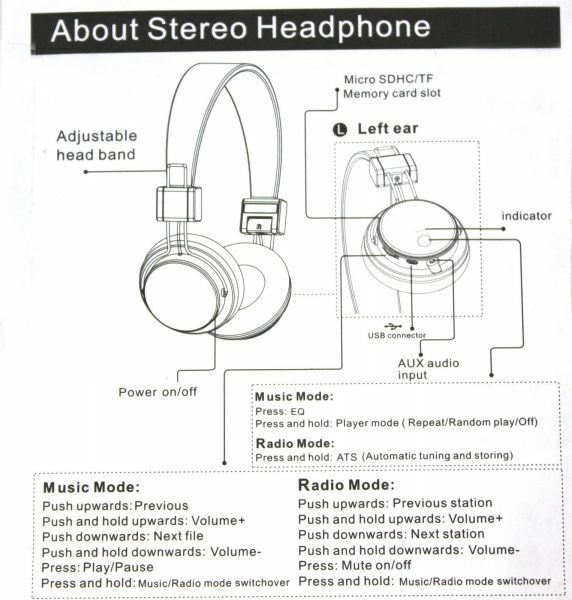 1.This Micro SD Player FM Stereo Radio Headphones you can enoy MP3 Format Music Stored in your mini memory card . 3.The Built in FM Stereo radio can store 20 channels program enriching your enjoyment. 5. Crystal Clear Sound Quantity.